The vital objective of this report is to analysis Foreign Exchange Business on NCC Bank Limited. General objectives of this reports are to find out how private commercial banks function in operating foreign exchange business and find out which type of LC facilities they are providing. Here also briefly analyze what are the procedures for LC, what are the natures of LC, which parties are involved in LC and what are the process for LC proposal. Finally this report make swot analysis Foreign Exchange Business on NCC Bank Limited. International trade, even more so than domestic trade, is carried out mostly on a credit basis. Trade across national borders involves loans, advances, and guarantees of payment that brings third parties like bank, into a trade transaction. Beside commercial banks, government is often involved since low-cost financing is used as a means of stimulating exports. Banks and government are not the only institutions that finance international trade. Banks account for the major share of trade finance, but they specialize in short term, unsecured loans. Other institutions are specializing in higher-risk loans that must be secured by a pledge of the borrowers asset as collateral. But commercial banks dominate the financing of world trade. Banks have a varied assortment of financing alternatives available that allow them to competed for almost any type of financing deal. These alternatives include short-term unsecured loans with a borrowing period of up to one year; letter of credit, which are guarantees that an importer will make payment to an exporter; financing of foreign receivables, wherein exporter receive financing by pledging the money to be received from importers as collateral; and longer-term loans, where repayment is to be made in installment overtime. Foreign trade operation plays a pivotal role in our country for overall business development of the Bank. For expansion and smooth functioning of foreign trade, commercial banks establishes a large network of foreign correspondents covering most of the important business centers in 100 countries around the world. And Bank has to follow some rules and regulation for opening an Foreign Exchange department. A bank has to be the authorized dealer branch (AD) of Bangladesh bank and must be licensed by Bangladesh Bank, otherwise a commercial Bank is not permitted to Bank has to follow some rules and regulation for opening an Foreign open an foreign exchange department. Today each and every Bank possesses Foreign Exchange Department because it is the most profitable sector in Banking Business Foreign Exchange department mainly deals with foreign currency to help their client in giving letter of Credit (L.C) facilities. National Commerce and Credit bank Ltd has introduce “ Foreign Exchange Department” in approximately 9 years ago when it get it into a full-fledged Commercial Bank in Seventeen June nineteen ninety five (17.05.1995) after obtaining license from Bangladesh bank as National Commerce and Credit Bank. NCCBL renders various banking services to its customers. The bank is offering services by keeping harmony with the hanging demands of the customer and is getting customer satisfaction by assuring services quality and by delivering better service value comparing with its competitors. To find out how private commercial banks function in operating foreign exchange business. To find out which type of L.C facilities they are providing. National credit and commerce bank ltd. is one of the fastest growing bank among all the private commercial banks in Bangladesh. Prior to conversion into a schedule bank, national credit limited was incorporated as public limited investment company in Bangladesh on 18th November 1985. It started on 25th November 1985 at its registered office and first branch at 7-8 Motijheel commercial area, Dhaka-1000. The initial authorized capital of the company was tk 30 crore. A new era of opportunities in the field of financial activities was opened for the business. NCL made a careful journey and maintained its successive growth for the new years with its qualified professional management under most unpredictable, unregulated, uncertainties, and limitations. 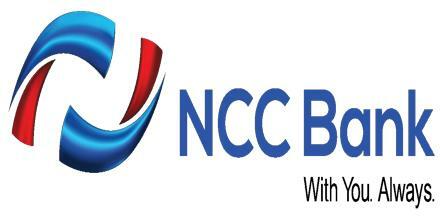 NCCBL Bank is a progressive commercial bank in private sector in Bangladesh. (It creates new opportunities for its clients. it gives customize services and maintains harmonious banker-client relationship. It contributes towards formation of National capital, growth of saving and investment in trade, commerce and industrial sector.) It provides different types of commercial banking services to the customers of all strata in the society within the stipulation laid down in the Bank Companies act 1991, rules and regulation framed by the Bangladesh from time to time. National Credit and Commerce Bank Limited emerged as bank in the country on 17th May 1993 out of a great turbulent situation encountered by erstwhile National Credit Limited. However, the institution survived the ordeals and came out as full-fledged commercial Bank. NCC Bank Ltd. has achieved satisfactory progress in all areas of its operation and earned an impressive operating profit of Tk. 568.65 million showing a growth of 32.48% over the previous year. The authorized capital of the Bank remained unchanged at Tk. 750 million. The bank raised its paid up capital from Tk. 390 million to Tk. 429-0 million during the year through issuance of 10% bonus share. Total deposit of the Bank increased to Tk. 12848.71 million as on December 31, 2001 from Tk. 10557.72 million as at the end of previous year indicating an increase of 21.70% against 20.71% of previous year. The bank has introduced several welfare oriented deposit schemes to encourage and mobilize savings which have gained popularity among the public. The Bank followed its own credit policy within the guidelines of Bangladesh Bank. The credit portfolio of the bank is well diversified and broad based covering various sectors of the economy in addition to traditional financing of domestic and international trade. During the year under review, the bank extended credit facilities under consumer, hire purchase and lease financing schemes as well as loan syndication arrangement with other banks and financial institutions. The Bank also extended financial assistance to small-scale industries and industrial loans to a number of projects for employment generation so as to fulfill the socio-economic objectives of the Government. The total loans and advances of the Bak stood at Tk. 10788.61 million as at December 31, 2001 compared to Tk. 7965.14 million as of December 31, 2000 registering an increase of 35.45%. The ratio of deposit and advances was 1:0.84 in 2001. The Bank has made remarkable achievement in recovery of non-performing and classified loans and advanced during the periods under review. As a result, Banks ratio of classified loans to total loans as on December 31, 201 has come down to 9.89% from 10.92% of the previous year. This achievement was possible due to continuous monitoring, follow-up and negotiation with the clients. The size of investment portfolio of the bank as at 31st December 2001 stood at Tk. 1756.89 million against Tk. 1722.01 million in the preceding year indicating an increase of 2.03%. The investment portfolio comprises of treasury bills, debentures, ordinary shares and prize bond. The bank continued to participate in the day to day transactions of Dhaka Stock Exchange as a member of DSE and expect to earn substantial income through capital market operation in future. Non-resident foreign currency deposit scheme. Money gram- it is the most fastest way to sent or receive the money from one country to another within ten minutes. Foreign Telegraph Transfer (FTT)—it is also another way to transfer money from one country to another. It is an autonomous institution having its own rules and regulations for admission of members and sub-members for the conduct of clearing. A clearing house provides a mechanism by which various banks exchange local cheques, drafts, etc. drawn on each other, which are received by their clients. Under the clearing system, reciprocal claims of one bank against others are offset and only the net balances or difference between receipt and payment are settled by drawing on the account of the debtors bank maintain with the Central bank. The cheques are verified by seeing whether the cheque series number, date, amount, payee, bank, branch, are same as mentioned in the deposit slip. Special crossing seals are put on the cheque, pay order, DD etc. Whether clearing seal are put on the cheque. Whether it is register for posting to outward. Whether the cheque has endorsement seal on the overleaf of the cheque. 1st Clearing House: it is held in the morning session. in this session the representatives of NCCBL bank takes all the cheque of different banks which they receive from their client one day before. Then the representatives of the bank go to Bangladesh Bank and places all the heque to the representatives of other different banks. They then bring all the cheques of NCCBL and return to bank for verification. 2nd Clearing House: It deals with the all the return cheques and held in the afternoon. A Business transaction that involves two or more parties from at least two different countries cab be termed as foreign trade. So foreign exchange may be defined as “the system or process of converting one national currency with another and to transfer money to one country to another country. In international trade the seller wants to make sure that the buyer is able to pay in time once the goods have been shipped and that risk of non-payment is minimized. The seller therefore wants to find out how a third party, i.e. the bank cab help him in the practical arrangements for theses transactions. Similarly, the buyer is interested that he gets possession of goods before he pays for them and he is bale to make sure that the goods are exactly those he ordered. It is important to decide in advance how seller is going to get payment before handing over possession of goods and how the buyer is going to get constructive possession of the goods before making payment. This is more because the arties are located in two different countries separated by distance, with different political, legal, moneta; and trading system and possibly without knowing each other. The two trading partners wish to reconcile the conflicting interest and converging them into one acceptable solution. This object led for a system which is mutually convenient, reliable, and safe, taking into account their own individual problems, apprehensions and requirements. The solution resulted a Documentary credit method where a bank acts as a fiduciary agent to safeguard the interest of both the parties, ensuring constructive delivery of goods by the seller to the buyer and payment being made by the buyer on presentation of document complying with the terms and conditions of the credit. A documentary credit is a conditional bank undertaking of payment. It is conditional undertaking given by a bank (issuing bank) at the request of a customer (applicant) or on its own behalf to pay a seller (beneficiary) against stipulated document provided all the terms and conditions of the credit is compiled with. Policy or certificate and a transport document of a type appropriate to the mode of transport used. Documentary credit offer both parties to transaction a degree of security, combined with possibility for credit worthy party, of securing financial assistance more easily. The bank which is authorized by Bangladesh Bank for dealing Foreign Exchange business is called Authorized Dealership (AD). NCCBL Agrabad Branch Ctg has authorized dealership license when it operate as a commercial bank in 1993. Foreign Trade operation continued to play a pivotal role in the over all business development of the bank. For expansion and smooth functioning of foreign trade, the bank has already established a large network of foreign correspondents covering most of the important business centers in 100 countries around the world. Since our country is mostly depend on others countries product and services i.e. import based, so import business is more transacted than export business. And our business transaction is formed through importing different goods and commodities from different countries of the world. And commercial Banks helped their client in giving L.C facilities by providing 100% margin (finance) and act as a intermediary between the two parties i.e. their client as well as the supplier (exporter). A letter of credit is a letter which is issued by a bank (issuing bank) at he request of its client addressed to a person (beneficiary) undertaking that bills drawn by the beneficiary will be duly honored by the issuing bank provided certain conditions mentioned in the letter. Letter of Credit means a credit guarantee from a bank that a sellers credit to a buyer will be honored provided the seller to fulfill his part of a specified agreement such as the delivery to goods on time & in good condition. Revocable L.C: A revocable L.C can be amended or cancelled at any time without prior notification to the Exporter. This L.C gives the maximum flexibility to the importer. Now at present NCCBL does not consider Revocable L.C. Irrevocable L.C: An Irrevocable L.C can be amended or cancelled at any time, any moment only with the agreement of Issuing Bank ad Exporter. NCCBL only deals with Irrevocable L.C. A red clause credit is a credit with a special clause incorporated into it that authorizes the advising bank or confirming bank to make advances to the beneficiary before presentation of documents. The clause is incorporate at the specific request of the applicant. It is called Red cause because the clause was written in red ink to draw attention to the unique nature if this credit. It specifies the amount of the advances that is authorized for the full amount of the credit. A transferable credit is one which can be transferred by the original beneficiary to one or more parties. In transferable credit, the original beneficiary becomes the middleman and transferee becomes the actual supplier of the goods. It is normally used when the first beneficiary does not supply the merchandise himself, but is a middleman and thus wishes to transfer part, or all of his rights and obligations to the actual supplier as second beneficiary. This type of credit can only be transferred once, i.e. the second beneficiary can not transfer to a third beneficiary. A revolving credit is one where under the terms and conditions, thereof the amount of the credit is renewed or reinstated without specific amendment to the credit being needed. Revolving credit may be revocable or irrevocable. It can revolve in relation to time or value. But credit that revolve in relation to vale is not in common use. A green clause is a credit with a special clause incorporated into it that which not only authorizes the advising bank to grant pre-shipment advances but also storage cost for storing the goods prior to shipment. It is useful in situation where shipping space is not readily available. It is so called Green clause because the clause was written in green ink to draw attention to the unique nature if this credit. At present this type of credit is not in use. A Back to Back credit is one in which one credit backs another. When the beneficiary/seller of an L.C is unable to supply the goods direct as specified in the cred; as a result of which he needs to purchase the same and make to another supplier by opening a second letter of credit. In this case the second credit is called back to Back L.C. This concept involve opening of second credit on the strength of first credit i.e. mother L.C opened by foreign importers. Stipulated in the mother L.C which helps the seller of the first credit to substitute his draft. Commercial invoices and other documents with that drawn by the seller of Back to Back credit. Undertake payment of invoice made on open account. A clause authorizes the beneficiary to draw bills of exchange up to a certain on the opener. To import, a person should be competent to be an importer. (According to the Import & Export Control Act, 1950 the office of chief controller of Export & Import provides the registration to the importer. After obtaining this registration the person has to secure a letter of Credit Authorization from the Bangladesh Bank. After going through theses procedure, a person becomes an importer. A credit officer scrutinizes this application, and accordingly prepares a proposal & forward it to the Head Office of NCCBL Motijheel branch. Then the credit department studies the case; and if satisfied then sanctions the limit and returns back to the branch. In this manner the importer is entitled for the limit. Full name & address of the importer, date & place of expiry of the credit, the mode of transmission of document (courier/mail/telex), whether the confirmation of the credit is requested by the beneficiary or not, whether the partial shipment is allowed or not, the type of loading (loading on boarding), brief description of the goods to be imported, availability of the credit by sight payment acceptance/deferred payment, the time limit within which the document should be presented, sales terms (FOB/CIF/C&F), account number, L.C amount, shipping mark, H.S code number of the goods to be imported, IRC number insurance cover note, country of origin. Performa invoice, which gives description of the goods including quantity, unit price etc, four set of IMP form, the insurance cover note, issuing company & the insurance number, Letter of credit authorization form. The terms & conditions of the L.C must be compiled with Exchange Control & Import Trade Regulation. The L.C must not be opened in favor of the importer. Radioactivity report incase of food item. Goods & carrying vessel from all the countries in the world except Israel. Certificate declaring that the item is in operation not more than five tears incase of vehicles. To see whether that application is signed by the importer. Whether IRC is updated or not. Whether IMP form is dully signed or not. The transmission of L.C is done through tested telex, fax, SWIFT, DHL or FEDEX, or through Emergency Mail Service (EMS) to the advising bank to advices the L.C to the beneficiary. Parties involved in a L.C, particularly the exporter cannot always satisfy the terms and conditions in full as expected due to some unexpected reason. In such situation, the credit should be amended. So NCCBL transmits the amendment by tested telex to the advising bank. In case of revocable credit, it can be cancelled or amended by the issuing bank at any moment and without prior notice to the beneficiary. But incase of irrevocable L.C it can neither be amended nor cancelled without the agreement of the issuing bank, the advising bank and the beneficiary, if the L.C is amended, then the service and telex charged is debited from the party account. The advising or notifying bank is the bank through which the L.C is advised to the exporter without taking any responsibility. It is a bank situated in the exporting country and it may be a branch of the opening/issuing bank. It becomes customary to advise a credit to the beneficiary through an advising bank. After the exporter/seller is being satisfied with the terms and condition of the credit, he then proceeds to dispatch the required goods to the importer/buyer. Then he has to present the documents evidencing dispatching of goods to the negotiating bank within the stipulated expiry date of the credit. After receiving the documents the negotiating bank checks them against the credit. It the document are found in order, the bank will negotiate to the issuing bank. Then the bank checks all the documents like—bill of exchange, commercial invoice, packing list, bill of lading, certificate of origin, pre-shipment inspection report, insurance cover note, shipment certificate etc. Whether the documents have been negotiated or presented before expiry of the credit, whether the amount drawn has exceeded the amount available under the credit. Whether the draft bears the correct reference number or not, whether the signature or the name of the drawer corresponds with the name of the beneficiary, whether it is drawn on the correct drawee, whether the amount in figures correspond exactly with the amount in word. Weather the beneficiary issues the credit, Ensure that it is not titled proforma or provisional invoice, whether it is made out in the name of the buyer with the same address specified in the credit or not, whether the details of the goods, prices and terms as mentioned in the L.C are included in the invoice, other information supplied in the invoice is consistent with that of the other document like marks, numbers, transportation information etc, whether the currency of the invoice is the same as that of the L.C. whether the value of the invoice has exceeded the blalne of the L.C or not, whether the invoice covers the complete shipment. Back to Back Letter of Credit is a new credit. It is different from the original credit based on which the bank undertakes the risk. In this case the banks main security is the original credit. The original credit (selling credit) and the back to back credit (buying credit) are separate instruments independent of each other and in no way legally connected, although both are part of the same business operation. The supplier (beneficiary of the back to back credit) ships goods to the importer or supplies goods to the exporter and present documents to the bank as specified in the credit. It is intended that the exporter would substitute his own documents and ships the goods to the importer. And if necessary then present the documents for negotiation under the original credit and the liability under the back to back credit would be adjusted out of these proceeds. The export L.C is marked lien and no margin is taken. Master L.C, valid import registration certificate (ERC), L.C application and form duly filled-up and signed, proforma invoice or indent, insurance cover note with money receipt, and duly signed IMP form. Incase of Back to Back L.C NCCBL provide maturity period of sixty days, ninety days, one-twenty days, or one-eighty days and deferred payment is made. Payment is given after realizing export proceeds from the issuing bank of the particular L.C. Export is one of the most important activities that can increase economic and social well being through transaction of goods and services from domestic economic agents to foreign economic agents for which domestic economic agents receive payments, preferably in valuable foreign currency. The import and export trade in our country is regulated by the import and export (control)Act, 1950. There are some formalities, which an exporter has to fulfill before and after shipment of goods. No Person without registration granted by the Chief Controller of import and export shall import or export anything into or bout of Bangladesh except in case of exemption issued by the Government. Under the export policy of Bangladesh the exporter has to get the valid Export Registration Certificate (ERC) from Chief Controller of Import and Export (CCI&E). The ERC is required to renew every year. The ERC number is to be incorporated on EXP form and other papers connected with exports. For obtaining Export Registration Certificate the exporter of our country are required to apply to the controller of import & Export in the prescribe form along with the following documents- Nationality and asset certificate, Memorandum and Articles of Association and Certificate of incorporation in case of limited company, Bank Certificate, Income Tax Certificate, Trade License etc. After getting the ERC, the exporter applies to NCCBL (or other commercial banks) with trade license. And if the bank is satisfied, then an EXP is issue to the exporter. After getting the ERC the exporter may proceed to secure the export order. The exporter can do this by contact with the buyers directly through correspondence or the exporter can take help from- Liaison office, buyers local agent, export promoting organization, Bangladesh mission abroad, chamber of commerce, trade fair etc. After the contract is made for sale, the exporter ask the buyer or the importer for Letter of Credit (L.C) stating clearly the term and conditions of the export and the payment. The following are the main points to be considered for receiving or collecting export proceeds by means of Documentary Credit—the terms of the Letter of credit are related with those of the contract, whether the letter of Credit is an irrevocable or not, time period for shipment and negotiation etc. When the contract is made between importer and exporter and the Letter of Credit is open in the favor of Exporter, then the exporter set the task of procuring or manufacturing the contracted merchandise. For shipment of goods, the exporter has to submit some document to the Bank along with the Letter of Indemnity to NCCBL for negotiation. Then the officer of the bank scrutinizes all the document, and if they are eligible to take, then NCCBL purchases the document. This is known as foreign documentary bill purchase (FDBP). And there are some documents involved in the shipment are EXP form, ERC (valid), Copy of Letter of credit, Custom duty certificate, shipping instruction, Transport document, Insurance document, Invoice, Bill of Exchange, Certificate of origin, Inspection certificate, Quality control certificate. If the documents have some discrepancies. If the baker is in doubt. Foreign documentary bill of collection signifies that the exporter will receive payment only when the issuing bank gives the payment. NCCBL check the following document to ensure export bills under the letter of credit while negotiating are…….. The Letter of Credit is revocable or irrevocable, it should be amended to the clause and must be obtain to fulfill, the Letter of Credit is Valid or expired or it is authenticated or not, whether the letter of credit is subject to uniform custom and practice for documentary credit of the international chamber of commerce, whether the opening bank is of good means and standing. If not then confirmation from the third bank should be obtain. Whether the draft has been drawn to the order of the bank or not, whether the date, amount in words and figure, drawer’s name, drawer’s signature, endorsement, tenor, etc. are strictly in terms and condition or not, stamp of requisite value has been properly fixed. Invoice contains quality, quantity, unit price, total value with deduction, as stipulated in the relative credit, number of copies of invoice should meets the requirement of the credit, charges such as—postage, telex etc. should be include, description of the goods should be in conformity with the description in the bill of lading and should relate to the vessel and voyage mentioned, marks on the packages and the quantity of the goods must agree with those mentioned in the invoice and the bill of lading. The bill of lading must state the number of originals and all the negotiable copies as stated in the bill of lading, bill of lading must state that the goods have been “shipped on board”. Port of loading, port of destination, and name of the carrying vessel- must appear o the bill of lading, it must be signed and endorsed, it must state payment of freight. It should provide evidence of the origin of the goods as specified in the credit, and it is issued by an independent office or organization. e.g. Chamber of Commerce. Whether bill of lading is undated or unauthenticated on Board notation. Whether the shipment is effected from the designated port or not stipulated in the credit. Whether the full set of Bill of Lading is present or not. Certificate if Origin is provided or not. Certificate of weightment is present. Whether the document is consistent with each other or not. Whether the description of goods in the voice differs from that in the credit. Letter of Credit is exceed or not. Financing of export constitutes an important part of a banks activities. Exporter require financial services at different stages of the export operation. During each of these phase exporter need different types of financial assistance depending on the nature of export contract. The different stages of export operations are the pre-shipment and post shipment stages in the procurement production of export goods. Negotiation Credit: The exporter has to present a bill of exchange payable in addition to other document that NCCBL negotiates. Sight Payment Credit: NCCBL pays the stipulated sum immediately after the exporter’s presentation of the documents. Deferred Payment Credit: NCCBL agrees to pay on a specified future date after getting export documents. So in this stage the exporter does not need to present the Bill of exchange to the bank. Acceptance Credit: The exporter presents a draft or bill of exchange payable and drawn at he agreed tenor (i.e. on a specified future date) on NCCBL. NCCBL then signs its acceptance on the bill and returns it back to the exporter. The exporter then represent if for payment of maturity. When export L.C is transmitted to NCCBL for advising, then the bank sends as advising Letter of Credit to the beneficiary or exporter to inform that L.C has been issued. Steps involved in Export and Import transaction. First the importer and exporter must agree on the basis of the transaction. The sales contract will stipulate the amount and kind of product, price, shipping date, and payment method. Sales contract, the importer request a letter of credit from its bank, i.e. (first bank.) The bank issues a letter of credit that authorizes exporter to draw a bank draft on importers bank for payment. The bank draft is like a check, except that it is dated for maturity at some time in the future when payment will be made. Then the exporter ships the required goods of the importer and gives its bank, the draft along with the necessary shipping documents for the goods. Exporters bank then send the bank draft, shipping documents, and Letter of Credit to importers bank. When importer’s bank accepts the bank draft, a bankers acceptance is created. At this point exporter may receive payment of a discounted value of bankers acceptance. Importer discounted the bankers acceptance and send the funds to exporters bank for the account of exporter. The bank of the importer delivers the shipping document to importer and importer takes the position of the goods. Importers bank is now holding the bankers acceptance after paying a discounted value to exporters bank. Comparing the percentage of export & import business of garments industry. Percentage of export during the year 2000 is 24.28%, and the percentage of import is 27.80%, so import earnings is more in the year 2000. Parentage of export during the year 2001 is 40%, and the import is 35.70%, so in this year export earnings is more than import earning. Percentage of export earning during the year is 35.71%, and the import earning is 36.50%, so in this year import earning is more than export earning. By comparing the three years export and import transaction it can be concluded that, the performance of export is relatively better in the year 2001 than 2000 and 2002. And import earnings is better in the year 2002 than 2001 and 2000. The export earnings in the garments sector for the year 200 is 17 Crore, 28 crore in the year 2001, 25 crore in the year 2002. And the growth rate of export for year 2000-2001 is -10.71%. From the above scenario it can be concluded that export earnings is better in the year 2001 than in the year 2000 and 2002. And the import is increased in the year 2002 than the two consecutive years. From the above graph it is seen that during the year 2000 the export is 17 crore and import is 14 crore, in the year 2001 export is 28 crore and import is 18 crore, and in the year 2002 export earnings is 25 crore and import is 18.4 crore. So by analyzing the two graph for the three consecutive years it can be said that export earnings is in a good position as import earnings is a little bit lower that of export. But the export earning has increased in 2001 than 2000, and again decreased in 2002 compare to 2001. In the year 2002, 14.18% food products has been imported through NCCBL bank, 24,90% is the machinery goods, 11.64% is the intermediary goods, 19.65% is the garments products and 29.83% is the others. In 2001, 70% of the total imported goods is machinery goods, 4% is the intermediary goods, 6% is the garments product, 16% is the others, and 4% is the food products. During the year 2000, the percentage of machinery goods imported is 69%, intermediary goods is 4.71%, garments product is 6.22%, others is 16.13%, and 3.91 is the food product. During the year 200, tk 8.8 crore of food products has been imported from different countries of the world like india, Thailand Malaysia, Pakistan etc. 10.5 crore has been imported in the year 2001, 13.27 crore has been imported in the year 2002. So it is clearly understandable that there is a increasing trend if imported goods in the food products. During the year 2000, 155.3 crore of machinery goods has been imported from China, Germany etc. 205.9 crore has been imported in the year 2001, which indicates that many kinds of machinery equipments has been imported to increase the modern business trends of the country. But in the year 2002, it has little decrease, and 23.21 crore has imported. During the year 2000, 10.6 crore tk of Intermediary goods has been imported from different countires, 11.9 crore tk in the year 2001, which shows that it the number of the products has increased from the previous year. But in the year 2002, 10.7 crore of intermediary goods has imported and again it reached in its original position. In garments sector only some selected goods are imported from foreign countries like accessories, fabrics, button etc. In the year 2000 it was 14 crore tk. in the year 2001 it was 18 crore, in the year 2002 it was 18.4 which shows that the more accessories and fabrics are imported from outside the countries than the other two years. In the year 2000 other products has imported of 36.3 crore., 45.2 crore in the year 2001 and 27.93 in the year 2002. So in the year 2001 it has increased compare to 2000 and 2002. The above table shows the trend of the imported goods. The growth rate of food products between 2000 and 2001 is 19.3%, the growth rate between 2002 and 2001 is 26.38%. The growth rte of machinery goods between the year 2000 to 2001 is 23.58%, growth between the year 2002-2001 is -88.7%. The growth rate of the intermediate goods from 2000-2001 is 12.26% and from 2002-2001 is -10.08%. The growth rate of garments between the year 2002-2001 is 22.2% and growth rate between 2001 and 2000 is 28.57%. Ant the growth rate of other product between 2002-2001 is 38.21%, and growth rate between 2001-2000 is 24.52%. The Import of machinery goods and equipments has reduced a lot in 2002 as compared with 2001. 23.21 crore tk of machinery has imported in 2002 and 205.9 crore tk of machinery goods has imported in 2001. Export sector has reduced only in the American market, but European based export is still earning a better foreign exchange in the year 2002. Import of food product like yellow maize, rice, wheat has increased because it has a great demand in our country due to good quality, cheaper rate of such products. Small number of importers are interested to import only the traditional items rather than focus on variety of products. From the year 2003, management has restricted the margin of letter of credit facilities to the importer. So import has decreased in some sector due to some policy changes. Bank should provide some incentives to the importer regarding machinery goods, to increase the industrial set-up. Bank should finance in venture capital and build business relationships with different EPZ’s to increase the production and quality of the product to increase the export once again. Management of bank should restrict the L.C margin to minimize risk only on those product that has relatively more risk, so that import may not be commercially feasible. Bank should diversify the export business in different sector, otherwise it will bring effect in the banking business if the export of garment business reduces. Bank should provide consultancy facilities to the importer regarding import different items and foreign exchange change so that it will be more convenient for the importer. Findings has already given the scenario of export and import business of NCCBL. The export business has reduced a little as compare with the last two years. But still a fair export earning is earned from European market. So from this it can be concluded that apart from macro environmental affect, that total business is operating fairly. And NCCBL Agrabad branch is earning a good profit from Foreign Exchange Department. Recommendations has been made on the basis of findings, though there are barriers to implement all the recommendations. And management should implement the recommendation which seem cost effective to them.